A place without a past has no future. That Cuba is frozen in time is a commonplace that the casual visitor often expresses. Of course, what we observe and respond to is not stillness but the difference in movement—the vector and velocity of change—between worlds separated for a half century. Everything changes, even Cuba, and whatever illusion of frozenness there may have been is already melting away with the recent thaw in US-Cuban relations. The functioning relics that predate the Cold War embargo, like the automobiles and appliances, readily capture the visitor’s attention, but the greatest source of this seemingly timeless panorama is Cuba’s extraordinary architecture, five centuries of building that constitute some of the earliest post-Columbian settlements in the Americas as well as an exceptional Modernist legacy comparable to parallel achievements in Brazil, Mexico and Venezuela. The present essay provides a brief overview of the importance of twentieth-century architecture in Cuba and its current conditions. It follows with a brief outline of the mapping project: its origin, existing sources, recent mapping efforts by others, and its potential applications. 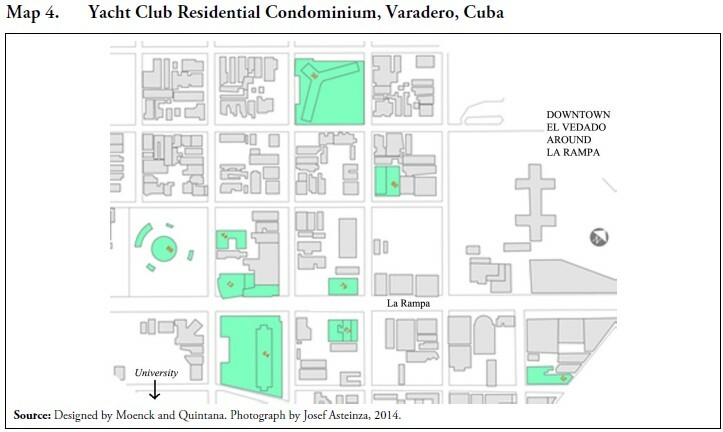 The exercise focuses specifically on the neighborhood of El Vedado in Havana, rather than the entire island. The greatest expansion of Cuban cities, Havana in particular, occurred in the early 20th century, during a period of intense experimentation in the arts that also occurred in architecture. From the mid 1920s through the mid 1960s, this search, attuned to international movements and drawing from the essential elements of Cuban architecture, resulted in highly original buildings. Eduardo Luis Rodríguez, in the introduction to his architectural guide to this period, writes, “For the first time in its history, Cuba’s national architecture was viewed in terms of richness and quality as good as or better to that being practiced in other, more developed countries.”2 A few of the architectural leaders include Eugenio Batista, Mario Romañach, Aquiles Capablanca, Max Borges, Emilio del Junco, Manuel Gutiérrez, Ricardo Porro, Frank Martínez, and Nicolás Quintana. They were part of a creative generation in the 1940s and 1950s. Their work embodied an international progressive spirit, which represents some of the most iconic images of Cuba—landmarks of the built environment. They define the place. Nicolás Quintana is also the subject of a documentary film which the author is producing. A distinguished architect, Quintana was also an urban planner who thought about the design of cities throughout his career. He lectured extensively on the history of the physical development of Havana. This history is documented in the historic master plans for the city (Table 1), the product of a restless attempt by the city to redefine itself—to assess the past and look ahead—and make itself contemporary. 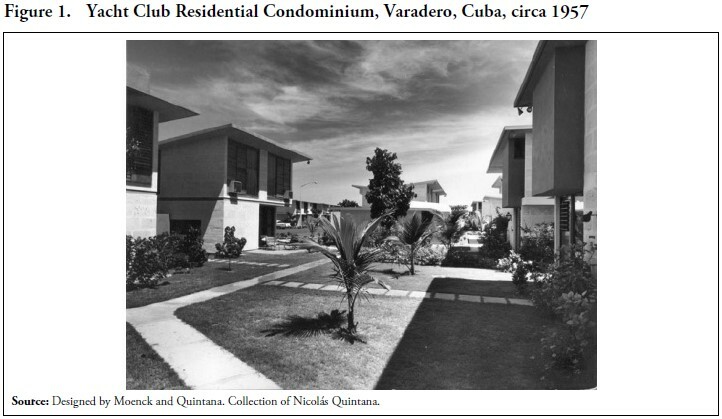 In the 1950s Quintana participated in the International Congresses on Modern Architecture (CIAM IX and CIAM X), and served as director of planning for Varadero and Trinidad. Afterward he worked on urban development projects in Puerto Rico and Venezuela. His last major project, Havana and its Landscapes, a collaboration with landscape architect Juan Antonio Bueno, engaged students, professionals and the public to think about Cuban cities, particularly Havana, as living, contemporary places, which is to say places with a past and with a future. In order to bring the architectural history of Havana and Quintana’s works to life in film, the production team began considering digital technologies to reproduce and interpret buildings and urban plans. These technologies comprise geographical information systems (GIS), three-dimensional modeling and other digital tools. Thus began the collaboration between the author and Vivian García, a GIS specialist and co-presenter at the 2016 ASCE Conference on July 28, 2016. From the outset it became evident that the effort required for the narrow scope of the film project has broader applications for documenting and conserving the historic fabric of the twentieth-century city. Maps in the broadest sense are the spatialization of knowledge. They vary in type and form for everything that can be graphically represented. In the last few decades, the rise of digital cartography has revolutionized mapmaking. GIS is a computer system capable of assembling, storing, manipulating and displaying data according to their location.3 Dynamic mapping allows different sets of information to be gathered, updated and displayed for specific purpose. Cross-analyses can reveal powerful, insightful connections and inform decision- making. A GIS map can include points, lines, shapes, and images as well as spatial and non-spatial data. The spatial elements can represent site locations, streets, city blocks, and satellite images. The non-spatial data can include in the case of architectural conservation, for example: name of the architect, engineers and contractors; year of construction and construction type; original and current use; and existing condition and conservation cost. Two common GIS platforms are QGIS, a free and open-source software of the Open Source Geospatial Foundation, and ArcGIS, a suite of proprietary GIS software products produced by Environmental Systems Research Institute (ESRI), a private company. Specific to the international conservation field is Arches, an open source web- and geospatially-based information system to inventory and manage heritage sites. Launched in 2010, the project is a collaboration between the Getty Conservation Institute and the World Monuments Fund. 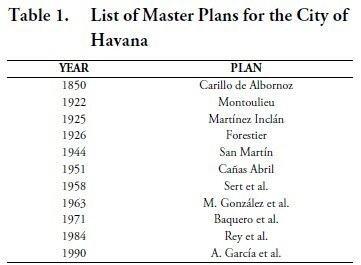 Although a model is not a map in the strictest sense, it is important to note that the Group for the Comprehensive Planning of the Capital in Havana developed a model of the entire city at the scale of 1:1000, which was housed in a building in the suburb of Miramar. This model, begun in 1987 and opened to the public in 1995, was an inspiration for a digital model for the film project. Made of cedar cigar boxes and other materials, it shows the entire 144 km2 city in 144 m2, and is considered the third largest urban scale model, after the ones in New York and Shanghai. With its color-coding system to represent the historic period in which each building was constructed—reddish-brown for Colonial buildings, ochre for those built between Independence and the Revolution, and ivory for those built after 1959— it functions like a thematic map. Some of the spatial data used in this project derive in part from digitized plans used in Quintana’s Havana and its Landscapes. In Cuba, there are government sources in agencies and departments such as the office of the city historian, the department of physical planning and Docomomo Cuba. Docomomo is a non-profit organization founded in 1988 at the Technical University in the Netherlands. With 69 chapters and 3,000 members in Africa, America, Asia, Europe and the Pacific, it is dedicated to promoting awareness and protection of the architectural heritage of the Modern Movement. Docomomo Cuba has been especially active in documenting and conserving the Cuban Modern Movement, a period that includes some of the finest works built in Cuba. By definition Docomomo material is limited to the Modern Movement. 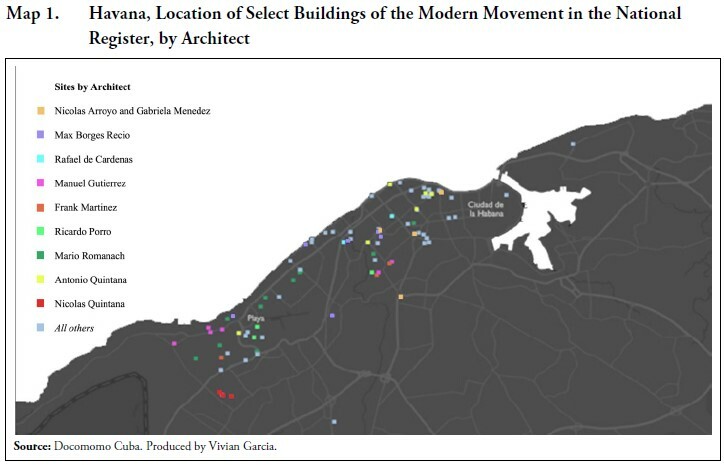 Docomomo Cuba maintains a national register of Modern Movement buildings which provided much of the source material in the present map, including the selection of buildings and their locations. Architectural guides, such as María Elena Martín’s Havana, Cuba, an architectural guide or the aforementioned guide by Eduardo Luis Rodríguez, provide a broader selection of sites than those published in the Docomomo National Register4. 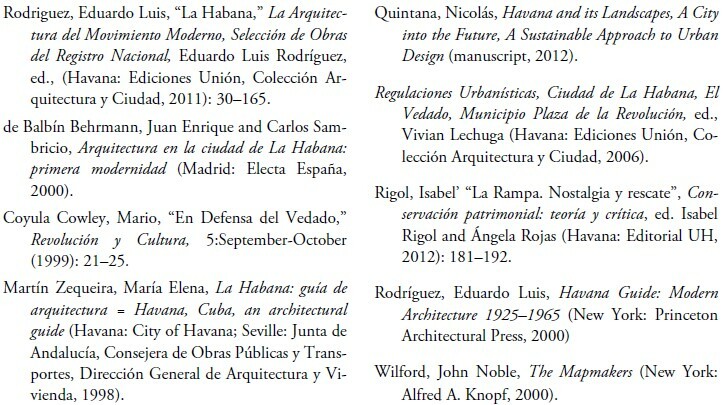 Another study, Arquitectura en la ciudad de La Habana: primera modernidad published in 2000 by Juan Enrique de Balbín Behrmann and Carlos Sambricio, assesses the conditions and usage of buildings of interest including some of unacknowledged, and probably unknown, authorship. 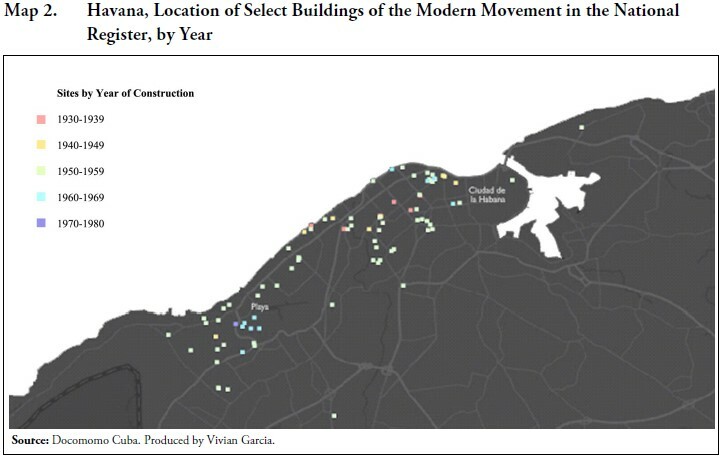 An initial mapping of Docomomo Cuba sites in Havana shows architects of each site (Map 1) and the decade in which each building was constructed (Map 2). Although the site distribution is widespread, the locations of the commissions realized by the ranking architects of the Modern Movement are clearly discernible, along a few neighborhoods, mostly in the western part of the city, within El Vedado. The effect of deferred building maintenance over time is a material one and indifferent to architectural styles, but twentieth-century buildings seem to be especially vulnerable in Cuba. Problems confronting their preservation are a lack of general public knowledge about them and their broad geographical distribution, which put them at a disadvantage in the competition for scarce resources. 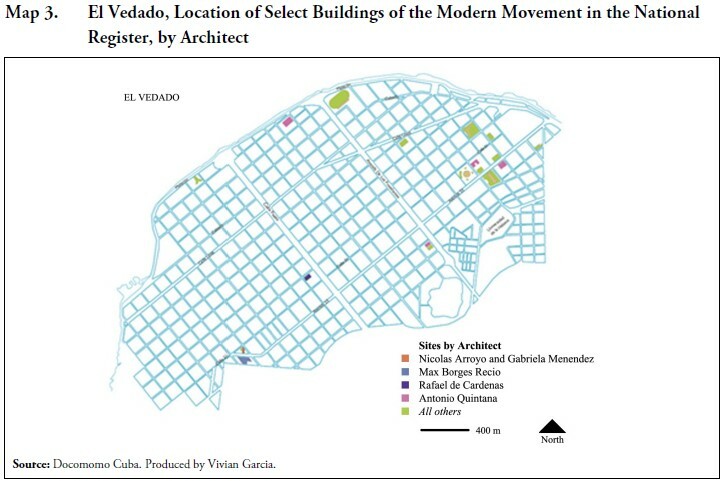 Although a certain class of tourists seeks out Modernist buildings, their wide site distribution, with the exception of La Rampa, El Vedado’s downtown (Map 4), makes them less efficient as tourist destinations than, say, Old Havana, where a leisurely stroll provides the visitor with a wealth of historic buildings. Even with the concentration of resources in restoring Old Havana, much of the old city, especially in the southern part of the peninsula, remains unrestored. 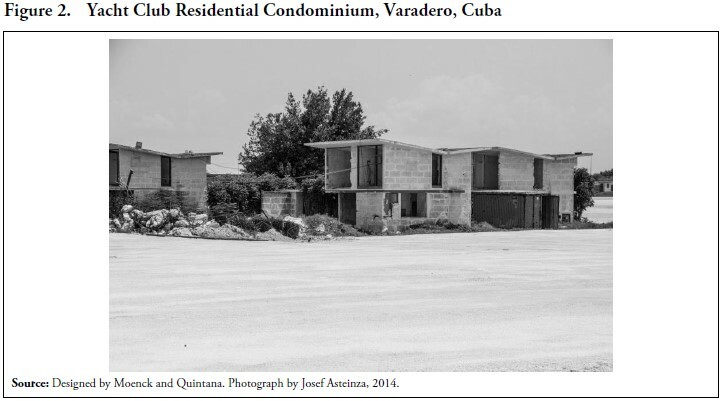 Meanwhile, in areas that do enjoy economic opportunities, development pressures often result in acts of heritage destruction, as they did in the case of the Yacht Club Condominium in Varadero (Figures 1 and 2). Other threats are less perceptible: the small piecemeal changes that accumulate over time, as in the subdivision of the Mardonio Santiago House from a singlefamily residence to a six-family unit. Nevertheless, it is important to remember that architecture has a human face. One of the unexpected pleasures of researching for the film on Nicolás Quintana is to experience people separated by radically different eras and fundamentally different circumstances brought together by the common experience of a place, like the past and present residents of the Santiago House. The same open exchange of information that can produce graphic material for a film can also be used to guide interested visitors, track endangered sites, and help professionals assess conditions, manage rehabilitation, and engage local residents in the process. Architectural conservation can provide an opportunity for construction, tourism and other industries. Protecting heritage sites can also address more mundane needs such as housing, enable the development of new enterprises and shape meaningful discussion on planning and infrastructure. Transmitting that knowledge to a dynamic map not only raises awareness of the problems and helps articulate them, but also offers in the same instrument a publicly- accessible process for solving them. With a good map we at least know where we can go. How we get there is another matter. 1. The present paper was jointly presented by Josef Asteinza and Vivian Garcia. Vivian Garcia produced the maps in the presentation and provided an overview on mapping methods. 2. Rodriguez, Havana Guide, p vii. 3. Wilford, Mapmakers, p 418. 4. Selección de Obras del Registro Nacional, ed. E. L .Rodríguez. 5. Quintana, Havana and its Landscapes. p 41. 6. Coyula, “En Defensa del Vedado,” pp 24–25. 7. See Regulaciones Urbanísticas, El Vedado. Josef may have more specific information about the location of the buildings. Josef will likely have more details about the location of the buildings.